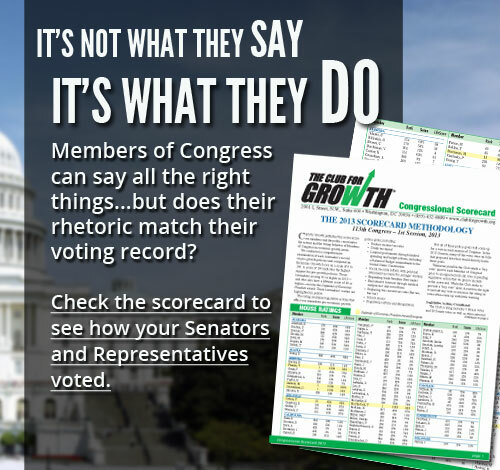 Kansans Tim Huelskamp and Mike Pompeo are among the eight U.S. House Members who scored 100 percent for 2014 on Club for Growth’s scorecard. On the scorecard for 2014, released today, Kansas Representatives Tim Huelskamp and Mike Pompeo voted with the Club for Growth’s preferred position one hundred percent of the time. So did six other members of the House of Representatives. Kansans Lynn Jenkins and Kevin Yoder were tied at rank 73, with scores of 77. 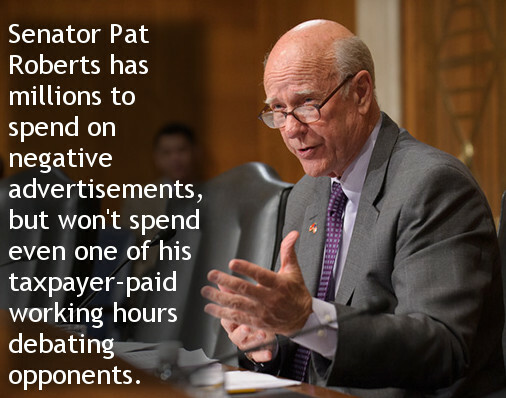 On the club’s Senate scorecard for 2014, Pat Roberts was ranked at number 11 with a score of 90, far above his lifetime score of 76. Jerry Moran was ranked at spot 25, with a score of 69 (lifetime score 73). In this episode of WichitaLiberty Radio: United States Representative Tim Huelskamp recently spoke to the Wichita Pachyderm Club. Congressman Huelskamp was born near and raised on the family farm in Fowler, Kansas. He earned a Ph.D. in Political Science with a specialization in agriculture policy from The American University in Washington, D.C. He was first elected to the Kansas Senate in 1996, and then re-elected three times. In 2010 when Jerry Moran stepped down to run for the United States Senate, Huelskamp ran for the United States House of Representatives for the first district. That’s commonly called the “Big First” district, not because of its population, but because of its large land area. Some of the principle cities in the first district are Liberal, Garden City, Dodge City, Hays, Salina, Hutchinson, Emporia, and Manhattan. 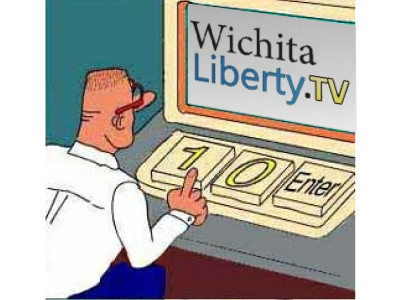 Congressman Huelskamp appears frequently on national news media as an advocate for conservative causes, and he recently appeared on WichitaLiberty.TV, which you can find here. He and his wife Angela are the parents of four children. This is podcast episode number 7, released on January 26, 2014. Here is a portion of United States Representative Tim Huelskamp at the Wichita Pachyderm Club on January 24, 2014. U.S. Representatives from Kansas split on voting for the budget bill produced by Rep. Paul Ryan and Sen. Patty Murray. Lynn Jenkins and Kevin Yoder voted in favor, while Mike Pompeo and Tim Huelskamp voted against the bill. It passed 332 to 94. Washington — Congressman Mike Pompeo, R-Kansas, voted today against adopting a budget that would increase spending in 2014 and 2015 over the hard-fought Budget Control Act’s (BCA) limit. “Just two years ago, Congress and the President made a promise to cut spending through the sequester. With this bill, they are abandoning this promise with a massive $63 billion in new deficit spending. So much for ‘if you like your spending cut, you can keep your spending cut.’ But no worries, after the 2022 election, a future Congress and President are certain to do what Washington refuses to do today. Sure. In addition to this bipartisan agreement to raise spending for all sides and violating their own sequester, it would also assist Senator Harry Reid in passing tax increases through the Senate. It further also divides the House Republican Conference by abandoning our agreement reached in Williamsburg last January, rejects nearly all of the provisions passed by the House in three successive Ryan budgets, and does nothing to oppose ObamaCare. 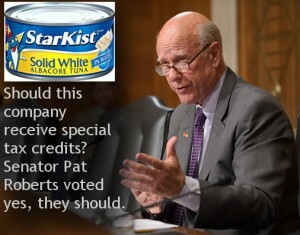 Kansas senators vote for cronyism. Veronique de Rugy explains the harm of the Export-Import Bank of the United States in Why Would Anyone be Against the Export-Import Bank? “First, the Ex-Im Bank is nothing more than corporate welfare. This is an agency that is in the business of subsidizing private companies with taxpayer dollars. … An excellent paper by Cato Institute’s trade analyst Sallie James exposes just how unseemly, inefficient, and irrelevant the Export-Import Bank is. As James explains, the Bank not only picks winners and losers by guaranteeing the loans of private companies, but it also introduces unfair competition for all the U.S. firms that do not benefit from such special treatment.” The bill is H.R. 2072: Export-Import Bank Reauthorization Act of 2012. Both Kansas senators Jerry Moran and Pat Roberts voted for this bill. So did U.S. Representative Kevin Yoder of the Kansas third district. But Representatives Tim Huelskamp, Lynn Jenkins, and Mike Pompeo voted against it. Koch = big oil? Politico: “The Koch brothers have an unlikely ally in the war of words with their liberal adversaries: the nation’s journalistic fact-checkers. Both The Washington Post’s Fact Checker blog and the nonpartisan site FactCheck.org have dinged critics of David and Charles Koch in recent weeks for referring to the billionaire brothers as Big Oil. Why? Because Koch Industries’ business interests extend well beyond the company’s involvement in petroleum refining and other oil-based operations. And while no corporate midget, the company isn’t anywhere near as big as true oil giants like ExxonMobil. ‘So even if all of Koch Industries’ revenues came from its refining business — which they do not — they would still be a fraction of the revenues of the companies that actually represent ‘Big Oil,” the FactCheck.org critique read.” More at Fact-checkers and Kochs’ ‘Big Oil’. Another example of how facts don’t get in the way of Koch critics. Or try For New York Times, facts about Kochs don’t matter. Economic freedom. Why does the political left criticize Charles and David Koch? In the following video from last year, Koch Industries CEO and board chairman Charles G. Koch explains the principles of economic freedom, something that he and David Koch have worked to advance for many years. These principles, according to Koch, include private property rights, impartial rule of law, free trade, sound money which reduces boom and bust cycles, and a small and limited government. These principles are good for everyone, I should add, including those currently at the bottom of the economic ladder. We aren’t Greece … yet. “Once again, Greece finds the international community questioning its ability to pay its debts. Default and an exit from the Euro Zone (or countries which share the Euro as a common currency) threatens on the horizon. Here in the U.S., we face high debts and have a lowered credit rating due to Washington’s inability to agree on deficit reduction. Just how alike are our two nations?” An infographic from Bankrupting America explains. Kansas computer security. This month the Kansas Legislative Division of Post Audit released an audit looking at how well five Kansas state government agencies kept their computers up-to-date. The audit found: “Three of the five agencies had significant vulnerabilities because of inadequate workstation patching processes, and all five could make some minor improvements to their patching process.” Patching refers to the process of keeping software updated. The most important updates, or patches, concern security vulnerabilities that have been discovered and fixed. Some of these vulnerabilities are serious and can lead to computers and networks being compromised. The report is at State Agency Information Systems: Reviewing Selected Systems Operation Controls in State Agencies. KPERS. Wichita financial planner Richard Stumpf contributes a piece to the Wichita Eagle on the problems with Kansas Public Employee Retirement System (KPERS). He paints a bleak picture of the plan’s finances and proposes a tax increase, writing: “I am recommending that Brownback propose a 25 percent tax increase to fund employees’ retirement plans. The commission wouldn’t cut spending. I refuse to recommend taking more money from classrooms to pay this bill. The only remaining option is a tax increase.” … As bleak as is this picture, it’s not as dark as it should be: Stumpf says the debt in KPERS is “nearly $9 billion.” More realistic analysis puts the figure much higher. Adjusting for unreported investment losses and using a realistic assumed rate of return of six percent, Kansas Policy Institute says the shortfall would be $14.1 billion. More shocking is an evaluation of state pension funds conducted by the American Enterprise Institute which uses market valuation methods. This evaluation puts the shortfall for Kansas at $21.8 billion. 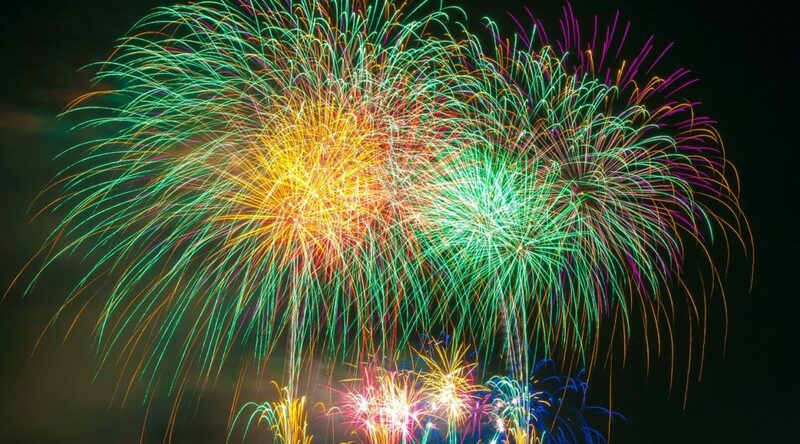 … Stumpf notes this: “So far this year, the stock market is up about 1.3 percent. Since KPERS is based upon an 8 percent assumed rate of return, earning 1.3 percent this year is equivalent to losing 6.7 percent.” The full editorial is at Richard Stumpf: Unions, Legislature lack guts to fix KPERS. Kansas Treasurer makes grand circuit. One of the jobs of Kansas Treasurer Ron Estes is to safeguard unclaimed property and seek to return it to its owners. Estes and his staff have now visited all 105 Kansas counties, holding unclaimed property return events in each. The office says that in 2011, 65,913 claims totaling $14,433,929 have been returned to Kansans. The office is holding $230 million in unclaimed property. Huelskamp considered objecting. 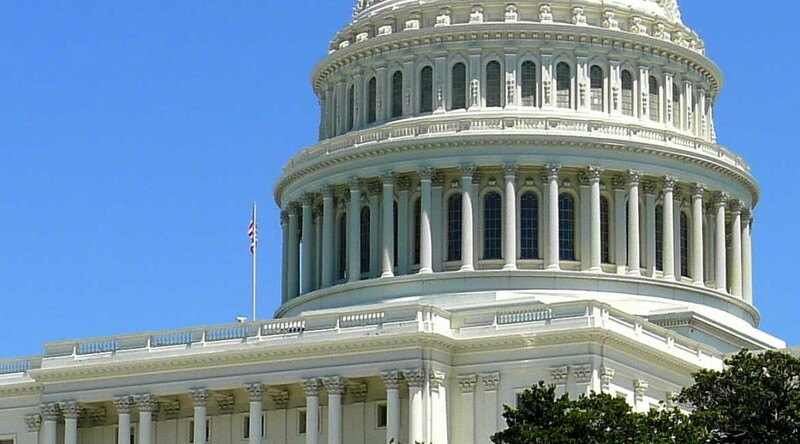 The payroll tax measure passed last week in the U.S. House of Representatives was passed using “unanimous consent.” This means that there was no voice or roll call vote taken, and members did not need to be present. But if even one member had been present and had voiced an objection, the measure would have failed. Appearing on CNN, U.S. Representative Tim Huelskamp, who is in his first term representing the Kansas first district, said he considered making such an objection, but could not get to Washington from Kansas in time: “Actually, I did. Problem was by the time we were notified that the unanimous consent agreement would be offered, where I come from in Kansas, I can’t get to Washington quick enough on this short notice. So that was an option, we did think about that, but there’s no way to fly in on time to make that happen. Back on the pledge to America, we talked about 72 hours where big things like this would give us an opportunity to reel read the deal, actually read the bill. And in this case they decided to not follow that rule as well.” … Huelskamp said he was disappointed with the House leadership team, noting Congress has not cut spending, did not stand up to the president on the budget ceiling debate, and did not pass a balanced budget amendment. Noting the lack of delivery after the election of a conservative majority to the House, Huelskamp wondered “what difference did it make?” He described the payroll tax measure as one of numerous losses this year. Obama’s regulation. Wall Street Journal Review & Outlook: “To answer the most basic question — has regulation increased? — we’ll focus on what the government defines as ‘economically significant’ regulations. Those are rules that impose more than $100 million in annual costs on the economy, though there are hundreds if not thousands of new rules every year that fall well short of that. According to an analysis of the Federal Register by George Mason University’s Mercatus Center, the Cabinet departments and agencies finalized 84 such regulations annually on average in President Obama’s first two years. The annual average under President Bush was 62 and under President Clinton 56.” The Journal notes the deception used by the Obama Administration as it tries to portray itself as not regulation-hungry: “Cass Sunstein, the director of the White House Office of Information and Regulatory Affairs, has been shopping around lower numbers that selectively compare Mr. Obama’s first two years favorably with Mr. Bush’s last two. Administrations are typically most active on the way out, and in any case the Bush regulatory record is nothing to crow about. But Mr. Sunstein’s numbers are even more misleading because they only include the rules that his office reviews while excluding the prolific ‘independent’ agencies such as the Federal Communications Commission. This means that if Congress tells, say, the Securities and Exchange Commission to write a new rule, it doesn’t enter Mr. Sunstein’s tally. So it omits, for example, some 259 rules mandated by the Dodd-Frank financial reregulation law along with its 188 other rule suggestions. It also presumes that Mr. Obama is a bystander with no influence over his own appointees who now dominate the likes of the National Labor Relations Board.” … After presenting more evidence of the growth of costly regulation under Obama, the Journal concludes: “The evidence is overwhelming that the Obama regulatory surge is one reason the current economic recovery has been so lackluster by historical standards. Rather than nurture an economy trying to rebuild confidence after a financial heart attack, the Administration pushed through its now-famous blitz of liberal policies on health care, financial services, energy, housing, education and student loans, telecom, labor relations, transportation and probably some other industries we’ve forgotten. 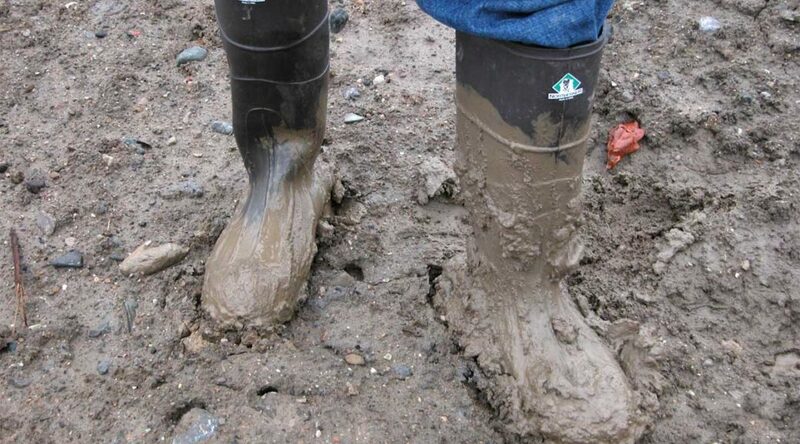 Anyone who thinks this has only minimal impact on business has never been in business. … Mr. Obama can claim he is the progressive second coming of Teddy Roosevelt as he did in Kansas last week, or he can claim to be a regulatory minimalist, but not both. The facts show he’s the former.” The full article is Regulation for Dummies: The White House says its rule-making isn’t costly or unusual. The evidence shows otherwise. The failure of American schools. The Atlantac: “Who better to lead an educational revolution than Joel Klein, the prosecutor who took on the software giant Microsoft? But in his eight years as chancellor of New York City’s school system, the nation’s largest, Klein learned a few painful lessons of his own — about feckless politicians, recalcitrant unions, mediocre teachers, and other enduring obstacles to school reform.” Key takeway idea: “As a result, even when making a lifetime tenure commitment, under New York law you could not consider a teacher’s impact on student learning. That Kafkaesque outcome demonstrates precisely the way the system is run: for the adults. The school system doesn’t want to change, because it serves the needs of the adult stakeholders quite well, both politically and financially.” … Also: “Accountability, in most industries or professions, usually takes two forms. First and foremost, markets impose accountability: if people don’t choose the goods or services you’re offering, you go out of business. Second, high-performing companies develop internal accountability requirements keyed to market-based demands. Public education lacks both kinds of accountability. It is essentially a government-run monopoly. Whether a school does well or poorly, it will get the students it needs to stay in business, because most kids have no other choice. And that, in turn, creates no incentive for better performance, greater efficiency, or more innovation — all things as necessary in public education as they are in any other field.” … Overall, an eye-opening indictment of American public schools. Markets: exploitation or empowerment? Do markets lead to a centralization of political and economic power, or do markets decentralize and disseminate wealth? In an eight-minute video from LearnLiberty.org, a project of Institute for Humane Studies, Antony Davies presents evidence and concludes that markets and free trade empower individuals rather than exploit them. Wichita City Council. This week is the fourth Tuesday of the month, so the Wichita City Council meeting is largely confined to consent agenda items plus workshops. An item on the Council agenda is titled “Approval of travel expenses for Mayor Carl Brewer and Vice Mayor Lavonta Williams to attend, by invitation, the African Global Sister Cities Foundation Governmental, Business, Education, Cultural Arts and Sister City exploration in Ghana, West Africa, November 14-23, 2011, for possible international trade and twinning city relations. Airfare expenses will be paid by Mayor Brewer and Vice Mayor Williams.” Although the agenda report doesn’t state so, for these trips generally the lodging and meals are paid for by the host city or some other organization, not by the City of Wichita. But if these trips are truly good for the city, the city should pay expenses for those who go, just as companies pay legitimate travel expenses for their employees. But the city has no products of its own to sell, and the city isn’t authorized to negotiate international trade agreements. According to the Economic Freedom of the World report, Ghana ranks 70th of the 141 rated countries, so I hope we’re not planning to import ideas on governance from this country. It seems these trips are just junkets and not truly productive, so maybe it’s best the city doesn’t pay for airfare. … The workshop topic is concealed carry in Wichita city buildings. … As always, the agenda packet is available at Wichita city council agendas. ‘Federalists’ author to appear in Wichita this week. On Tuesday October 25th Kansas Family Policy Council is hosting an event in Wichita featuring Joshua Charles, a recent KU graduate who has teamed up with Glenn Beck to write the book The Original Argument: The Federalists Case for the Constitution Adapted for the 21st Century. The book debuted at the top of the New York Times Bestseller List in July. … KFPC says “The event will be at Central Christian Church (2900 North Rock Road in Wichita) on Tuesday October 25th at 7:00 pm. Doors will open at 6:30 pm. This is a free event and dessert will be provided for attendees.” RSVP is requested to 316-993-3900 or [email protected]. Rep. Huelskamp to speak in Wichita. This week’s meeting (October 28th) of the Wichita Pachyderm Club features U.S. Representative Tim Huelskamp, who is in his first term representing the Kansas first district, speaking on “Spending battles in Washington, D.C.” The public is welcome and encouraged to attend Wichita Pachyderm meetings. For more information click on Wichita Pachyderm Club … Upcoming speakers: On November 4th: Chris Spencer, Vice President, Regional Sales Manager Oppenheimer Funds, speaking on “Goliath vs Goliath — The global battle of economic superpowers.” … On November 11th: Sedgwick County Commission Members Richard Ranzau and Jim Skelton, speaking on “What its like to be a new member of the Sedgwick County Board of County commissioners?” … On November 18th: Delores Craig-Moreland, Ph.D., Wichita State University, speaking on “Systemic reasons why our country has one of the highest jail and prison incarceration rates in the world? Are all criminals created equal?” … On November 25th there will be no meeting. Kansas tax reform. Citizens for Tax Justice has warned Kansas about possibly bad effects of tax reform in Kansas. In particular, the organization warns that eliminating the Kansas income tax (the article doesn’t specify individual, corporate, or both) and replacing it with a sales tax would result in a sales tax rate of 13.5 percent. Calculations like this are usually made in a vacuum and ignore the dynamic effects of people making adjustments. For example, the state might — wisely — decide to spend less, and therefore less revenue would be needed. Plus, the reason for reducing income taxes is to generate a more favorable business climate so that Kansas stops losing people and instead attracts people and business. This would lead to increased tax revenues. … The article also warns that Kansas doesn’t want to be more like Texas, citing statistics such as Texas being last in the country in the percent of adults with a high school diploma. The organization that collected these statistics, the Brookings Institution, explains that Texas’ low ranking is due to its large immigrant population, which arrived as adults with no diploma. CTJ didn’t mention that. The debt of the states. Most states, Kansas included, have a balanced budget requirement. So it comes as somewhat of a surprise that collectively, the states hold about $4 trillion in debt. This figure comes from a new report by State Budget Solutions (Report reveals aggregate state debt exceeds $4 trillion). By way of comparison, the federal government holds about $14.8 trillion in debt. Bob Williams, President of State Budget Solutions, said: “These deficit numbers are staggering and should be frightening to the American public. Due to budget gimmicks, many states fail to give an adequate picture of how much trouble they are really in. This report makes it clear that if legislators don’t act immediately and decisively, our country will be facing a budget crisis that we have never seen before.” … According to figures gathered by SBS, the per capita debt in Kansas is $2,009, which ranks Kansas at 34th in the nation. Figures for some of our neighboring states include Colorado at $1,068, Iowa at $1,026, Missouri at $813, Nebraska at $21 (! ), Oklahoma at $595, and Texas at $1,568. … Ominously for Kansas, the report includes separate figures that place our unfunded pension liability at $21.8 billion, well over twice as high as the numbers used by most official sources. The difference: “The AEI figures estimate how large public pension liabilities would be if states used private sector market-valuation methods.” In other words, the real world. Freedom of the press. One of the assertions in the statement made by the Occupy Wall Street movement is “They have used the military and police force to prevent freedom of the press.” Really? I wasn’t aware this was going on. I would think that with the internet, that freedom of the press is thriving in the U.S. Perhaps OWS was thinking of China. Student loans. One of the ideas tossed about by the Occupy Wall Street group is forgiveness of student loans. This debt is a problem, no doubt, especially when graduates can’t find work. Some fear that student loans will be the next great bubble — a government-caused problem that requires a government solution. In reality, easy government loans and grants have fueled the rapid rise in college costs, another government-caused problem that requires a government solution. 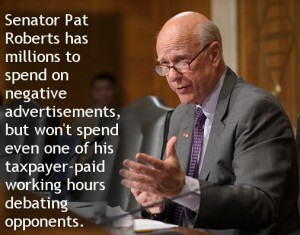 Kansas Watchdog has more at Student Loan Racket Enables Higher Education Bubble . Obama makes a great appointment. Malcolm Harris lets us know that it seems that President Barack Obama has made a wise appointment. This example is Tom Hoenig to serve at the FDIC. See Tom Hoenig Nominated to Be the Vice Chair of the FDIC. Libertarianism works both ways. Dr. Jeffrey Miron explains the two “flavors” of libertarian thought and explains that they’re really not different at all. In his recent book Libertarianism, from A to Z, described as an “encyclopedic exposition of libertarian thought”, Miron explains: “Libertarianism comes in two flavors: consequential and philosophical (also known as rights-based). The two variants offer similar policy conclusions but utilize seemingly different arguments to arrive at these conclusions. Consequentialism — the path followed in this book — argues that most government interventions are undesirable because they fail to achieve their stated goals or because they generate costs that are worse than the problems they purport to fix. Consequentialism emphasizes that many policies have unintended consequences the consequentialist approach is thus just a cost-benefit calculation, albeit one with a broad view of costs and benefits. In particular, the consequentialist approach recognizes that policies have intangible and non-monetary effects, not just tangible or monetary effects. Philosophical libertarians hold that government should never infringe individual rights or freedoms.” … Miron goes on to explain that the two different versions of libertarianism are not really different, and that the explicitly consequentialist approach is the “better language” for explaining libertarianism. His video A Cost-Benefit Approach to Public Policy explains. Another interview with Miron by Reason.tv’s Nick Gillespie is at Libertarianism From A to Z With Jeffrey Miron.